One of the few moments that is all about me is in the shower, and I want it to be relaxing. One of my favorite parts of taking a shower is lathering up with a refreshing, scented body wash. 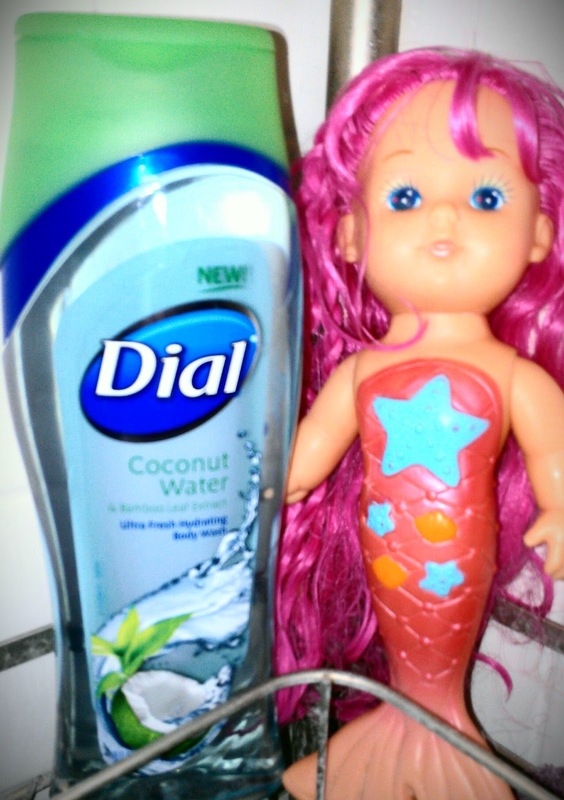 I recently had the opportunity to try the NEW Dial Coconut Water Body Wash. It is the first of its kind to contain coconut water for clean, healthy, hydrated skin. The wonderful scent of floral and coconut will whisk your mind away to a tropical paradise. I loved the way it smells, and how soft, smooth and moisturized it leaves my skin. It is the perfect body wash for every inch of your body, from head to toe. Not only is Dial Coconut Water Body Wash a convenient way to wash without using bar soap, it is also perfect for shaving your legs. It lathers nicely, rinses away easily and leaves your skin silky smooth! In conjunction with the Purex Insider Kit, Dial is proud to introduce the 'Healthier Skin. Healthier You.' 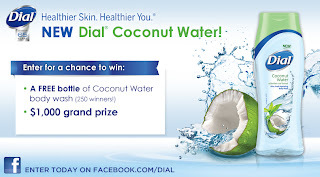 Sweepstakes featuring Dial® Coconut Water Body Wash! One lucky grand prize winner will receive $1,000, while 250 second place winners will receive free Coconut Water Body Wash. This giveaway will end March 19th at Midnight EST. Disclaimer: I received complimentary Dial Coconut Water Body Wash as a Purex Insider for the purpose of writing a review and hosting a giveaway. Regardless, I only recommend products or services I use personally and/or believe will be a good fit for my readers. The views and opinions expressed on this blog are purely my own. Results may vary. No monetary compensation was received. I like vanilla, I know I would love the coconut. the Fresh Awake from Mens Dove is amazing. Mine is Coconut! I had received some for Christmas in a different brand, and I LOVED it! Felt like I was at the beach! I love tropical scents like coconut! Also love vanillas and citrus scents. for me it is anything tropical, and coconut works! I like lime or anything citrus. My favorite scent is coconut scent! I love vanilla scents. Thanks for the chance!